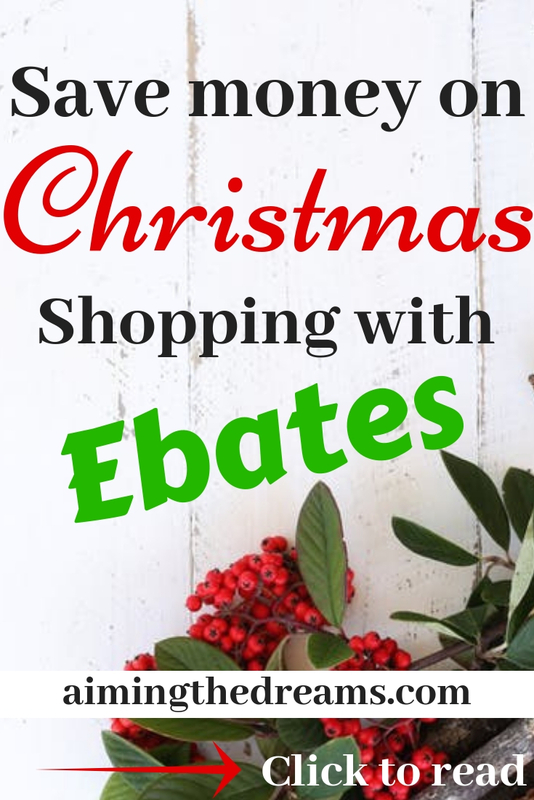 It is great to earn cashback with Ebates on shopping for Christmas and new year celebrations. Christmas is coming and we are getting ready for the big celebrations. Yesterday I went for an eye check and saw lot of hustle and bustle in shopping center. Everybody is shopping for Halloween. Next we will be getting ready for Christmas. So, everybody is on shopping spree. It feels so good. And the most important thing is we are welcoming spring in Australia. We all love shopping and more than that, we love deals, coupons and cashback. Ebates is a great site for shopping. There are almost 2000 stores to shop and get cashback. It is said that 80% people shop online nowadays. Getting cashback on your online shopping is a great way of putting some money back in your wallet. How Ebates afford to pay you money ? It becomes possible because companies whose stores are linked to Ebates, pay Ebates some referral commission. Ebates pay their referrals some commission from their own money for referring people to them. Install browser button on google chrome if you forget about Ebates while shopping. When you go to online store for shopping but forget about Ebates, then Ebates browser extension will pop up to remind you that Ebates is here to save you some money. 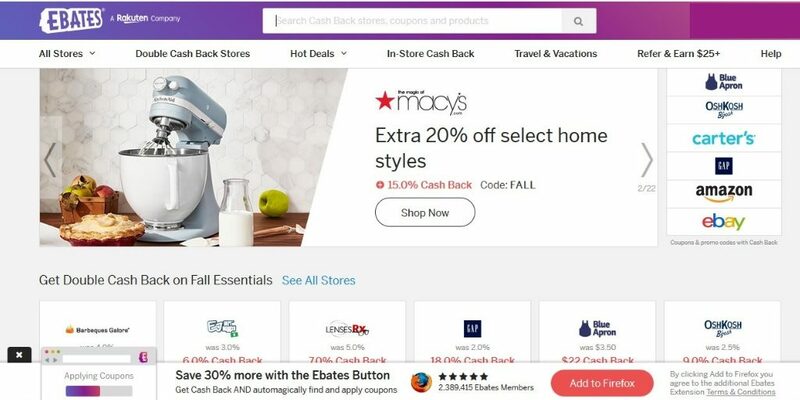 This way you Ebates will remind you of the cashback and you will go through the Ebates for shopping. What a great way to earn some money even if it is small amount. You will get $10 when you sign up and shop between three months period. This offer is open till 30/09/18. 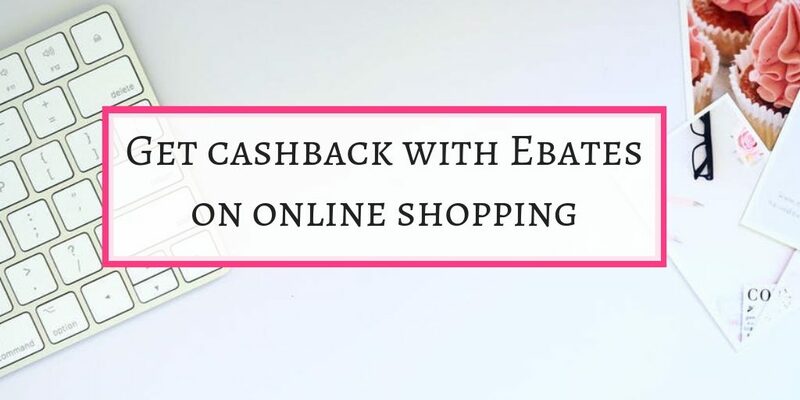 Go for it and earn cashback with Ebates. There are around 2000 retailers on Ebates . 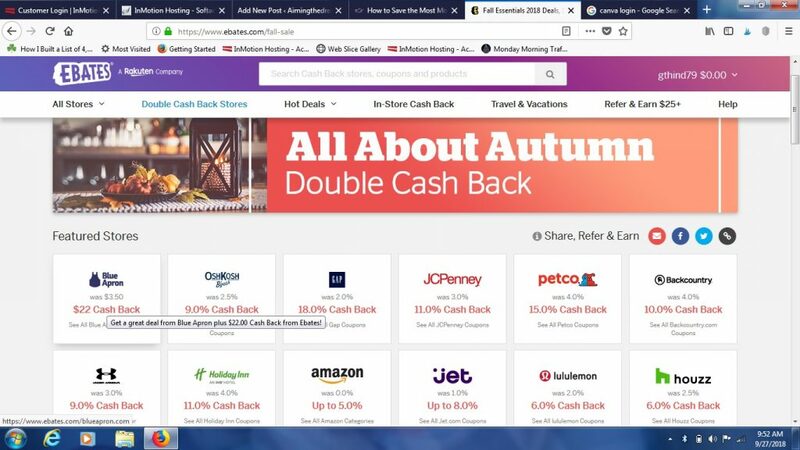 There are some double cashback stores. Always look for theese when shopping. have just ordered some baby clothes from carters. And they have got very good sale prices. 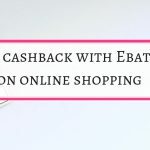 You will get 70% off in addition to 9% cashback from Ebates. Go for it. Blue apron will pay 22 dollars to Ebates members + $ 22 cashback + $5 off from blue apron and a further $ 20 cashback. You will get 13 % cashback on top of nearly 60 % off from Zulily. We love to shop from Amazon. Get 5 % cashback from Amazon. This is a great time to shop from Amazon as it has got everything. It is a best idea to shop around online stores on Ebates like you do while shopping in sores. You may have off on similar item on another store. This may save you some money even if it is few dollars. This one is great because bates is giving a sign up bonus of $ 25 when you refer to somebody and they shop for $ 25 . 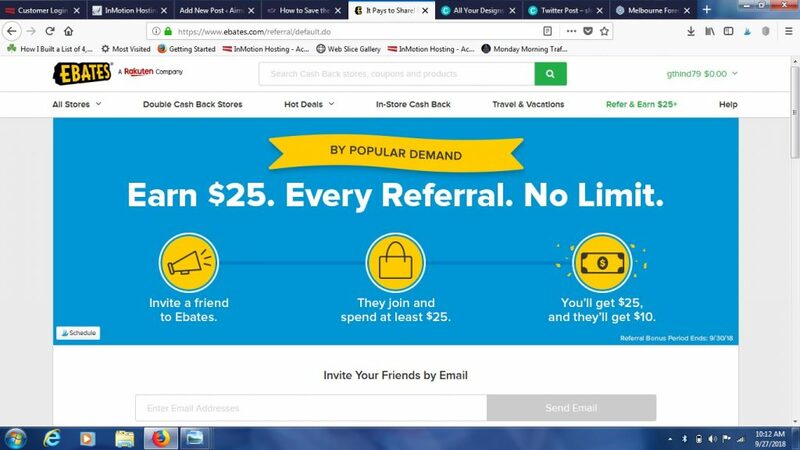 And your friend who will Sign up with Ebates, will get a 10 $ cashback after spending $ 20. It is a win win situation. This is a great incentive to shop from your favorite stores and get cashback. 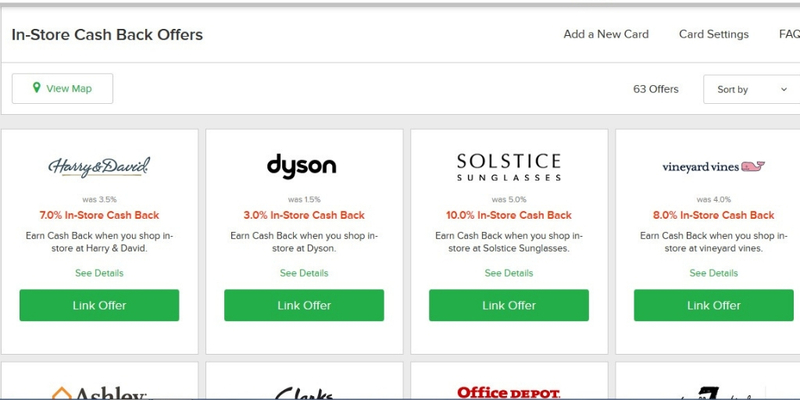 There are few stores where you can link in store shopping with cashback from Ebates. 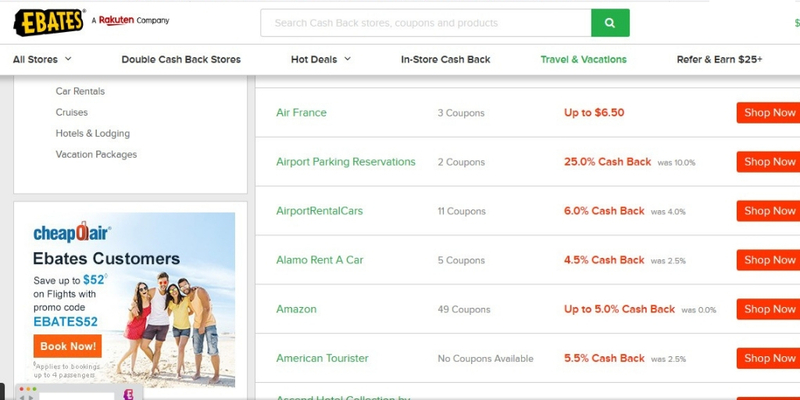 Book your vacations through Ebates and get cashback with deals from hotels. Earn some cashback on shopping. But be mindful of your shopping. Shopping is necessary for your daily basic needs as well as for gifts and parties. But it is important to be on budget and not to over indulge in shopping. Cashback sites helps you in comparing different stores and buy from the one which is having good deal. These are my ways for saving money on shopping. How do you save money on shopping? Please tell me in comments. I would love to hear from you. If you like the post, please share it. I will be very thankful to you.